We celebrate the agricultural entrepreneurs of North Iowa. Iowa has a long history of innovators, inventors, and entrepreneurs who have changed the world with their technologies, products, services, and businesses. 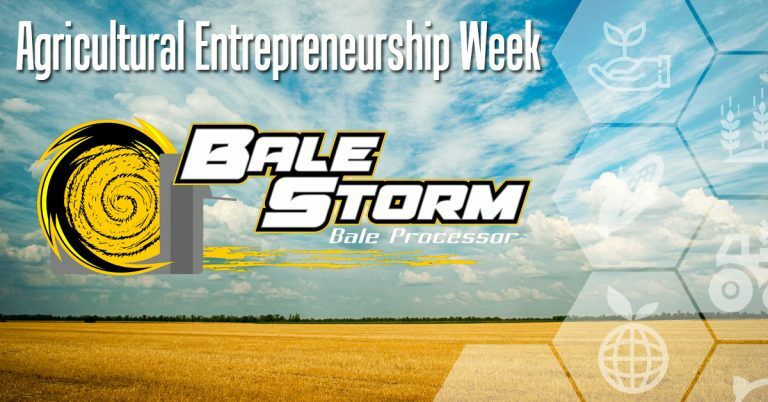 In honor of Agricultural Entrepreneurship Week, today we spotlight Bruce and Connie Goddard and the invention of the Bale Storm Processor. BALE STORM © 2018. All rights reserved.